Hi Aspirants.. 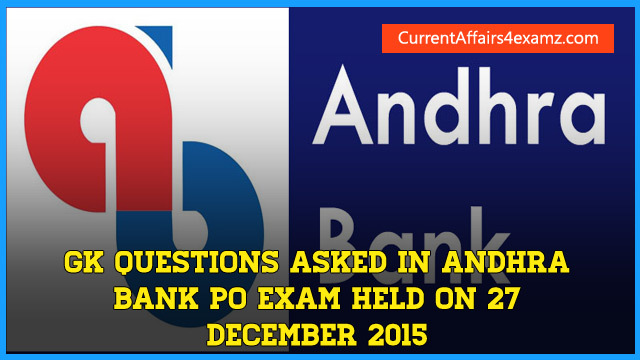 Here are some GK Questions asked in Andhra Bank Probationary Officer Exam 2015 held on 27 December 2015. 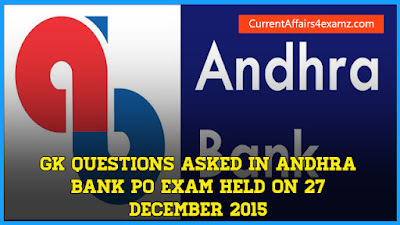 This will serve as a model for upcoming IBPS Clerk Mains 2015. Thanks to Meenakshi and Vivek for sharing the questions with us.